Unfortunately, there are millions of men currently suffering from having prostate cancer. Prostate cancer is a very serious disease that can even take the lives of many men. According to the American Cancer Society, studies show that there will be about 174, 650 newly diagnosed cases of prostate cancer in men in the United States. Unfortunately, studies estimate that there will be about more than 31,620 men in the United States that will end up dying from prostate cancer. 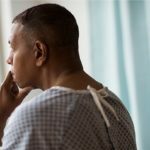 Studies also show that African-American men are more commonly going to die from this type of cancer than any other race and illness. Studies show that there are also about 6 in 10 cases of prostate cancer that are diagnosed in older aged men, usually around 65 years old and older.It is important for the country to become more aware of the signs and symptoms of having prostate cancer. It is also critical for many men to be proactive in their health and to know the signs and symptoms of what to look out for. Staying educated and aware will allow many men to heal and survive the battle of prostate cancer. Knowing what to look out for when dealing with prostate cancer is important to the outcome of your survival. The reason that it is so important for many men to know the signs and symptoms is because catching prostate cancer in its earlier stages can increase your chances of fighting it successfully. According to Cancer.net, some of the signs and symptoms that prostate cancer can display may include the following: having the need to frequently urinate, a weak or interrupted urine flow, straining to empty the bladder completely, finding blood in your urine, blood in the seminal fluid, erectile dysfunction symptoms, pain or burning during urination, discomfort and pain when sitting, and most importantly and obviously an enlarged prostate. Some of the signs that you may experience when cancer may have possibly spread outside the prostate gland may include the following: pain in your back, hips, around the thigh area, fatigue, change in your normal bowel habits, unexplained weight loss, swelling in the legs or the feet. Surprisingly, it is not difficult to fight the battle of prostate cancer. As long as you are fully educated and aware of the signs and symptoms, you can be able to catch these signs earlier and possibly have a higher chance of survival. Fortunately, statistics have been showing an increasing number of prostate cancer survivors. This is why it is most important to make your health a priority and learn about the important signs. You can also take time to search for your nearest prostate cancer clinic if you are suspicious you could be suffering from early signs of prostate cancer. You can take time to search for a prostate cancer clinic services Batavia OH. What many people don’t realize is that preventive measures are important to saving your life. When you are able to become more aware of the changes your body experiences, you are able to help yourself know when you need to get treated and seen by a professional. Stay proactive in your health by taking time to visit with a prostate cancer facility.